It can be expensive for seniors to heat and cool a home or apartment, not to mention the cost of items using electricity such as lights and televisions. Following these tips, brought to you by the staff at Harrisburg Home Care Assistance, can be integral to helping your elderly loved one maintain his or her independence affordably. At least yearly, it is important to have your loved one’s AC and your furnace looked over by a licensed professional. Have the technician install new filters when needed and inspect air and heat ducts for leaks. While these maintenance check-ups may seem like an unnecessary expense, they can save a lot of money in the long run by catching minor issues before they become major. Keeping your curtains or blinds closed during the daytime can keep 45 percent of the heat out of your loved one’s home. This ideally means the AC will run less frequently, saving your loved one money. In the winter, keeping the drapes drawn can also help prevent the heat your loved one’s furnace is putting out from escaping, thus saving on heating expenses. Your loved one should keep the lights on if he or she is using them, of course, but turning any appliances or lights off when they aren’t actively in use can save a lot. Even one light left on when your loved one isn’t in the room can use up a lot of energy over time. Consider switching your loved one’s light bulbs to a more energy-efficient bulb if they haven’t been changed already. 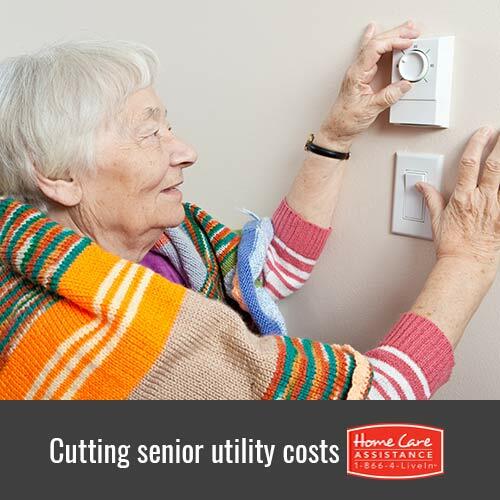 Many seniors qualify for programs that can help with energy costs in part or completely. One such program is LIHEAP (Low Income Home Energy Assistance Program). Programs like these can help make the expense of running the AC or the furnace a lot less draining on your loved one’s finances. Likewise, many counties and towns have their own programs similar to LIHEAP that your loved one can look into as well. Keeping the utility bill lower may have simple solutions, but making a senior’s life more comfortable doesn’t stop there. Does your loved one face other challenges around the house requiring more extensive care? Turn to Home Care Assistance for help meeting his or hercomplex needs. We offer live-in and hourly care in Harrisburg, and our caregivers can help perform many daily tasks, including cooking, cleaning, transportation, and medication reminders. All of our senior care services come with a 100% satisfaction guarantee and you’ll never be asked to sign a long-term contract. Call one of our Care Managers today at (717) 540-4663 to schedule a free consultation.